Parking lot repaving: it’s the last thing you want to deal with as a commercial property owner. You’ve got so many other aspects of property management to worry about that a few cracks and potholes in your building’s parking lot are the farthest thing from your mind. Besides, parking lot repaving is expensive, not to mention disruptive! Who wants to deal with any of that? The truth is, though, that keeping your parking lot in good order is in your best interest as a property owner. If you’re relying on your commercial site to attract customers or clients in order to generate income, you need a clean, safe, and attractive place for them to land. Not only that, but putting off your parking lot repaving until it’s too late can end up costing you much more than you ever bargained for! 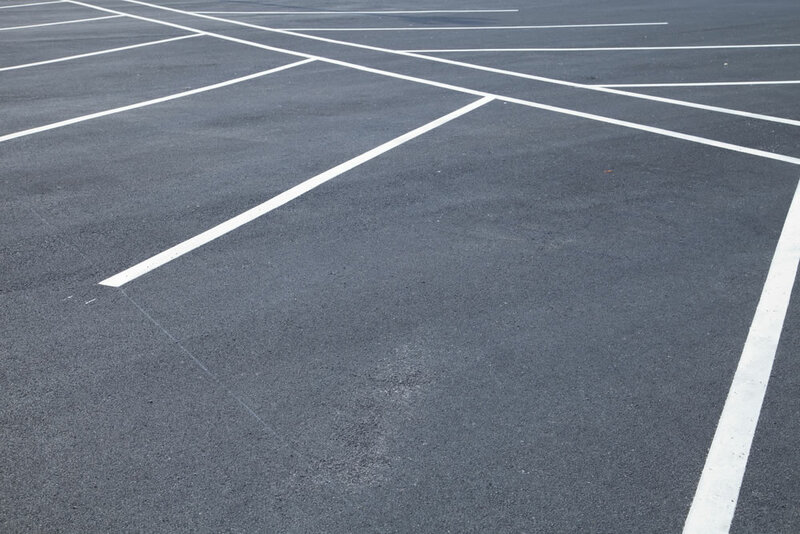 Here’s a quick guide to the pros and cons of getting your parking lot repaved. Real estate professionals will always tell you that curb appeal plays a major role in whether or not a particular property sells. Bad landscaping, peeling paint, and an unmowed lawn doesn’t exactly show off a property well, and this means the listing may go unsold for quite some time because nobody’s interested in an eyesore. Meanwhile, a run-down parking lot outside of a commercial building has the exact same effect. Let’s face it: broken and crumbling asphalt looks terribly unprofessional, and it sends a clear message that whoever’s in charge of maintaining that particular property doesn’t consider it important to provide an attractive and welcoming environment for tenants and visitors alike. On the other hand, providing a clean, clear, and unblemished parking lot with gleaming paint striping is an attractive beacon for businesses. The positive advantages of presenting a professional look to your property notwithstanding, there are some negatives associated with avoiding parking lot repaving. First and foremost is the fact that you could be exposing yourself to needless risk from accidents or injuries occurring on your property as a result of a deep crack or pothole. Broken pavement can cause any amount of damage to vehicles, and if you’re responsible for the upkeep of your commercial parking lot, you could be found liable for any damage that visitors sustain to their vehicles. Even worse, if someone turns their ankle on a piece of uneven pavement and suffers injuries in a fall, a claim for damages could be enough to wreck your entire business. Finally, let’s discuss the biggest problems cited with parking lot repaving: the disruption to your business and the cost of the work. Yes, it’s true that repaving requires your parking lot to be vacated for the work to be completed, but you can minimize the impact to your lot by having it paved a portion at a time, or all at once on a day that your building is closed. This keeps the impact of such a disruption to a minimum. The cost, however, is another story. Keeping your parking lot in good condition is an important investment in your business. Yet the price of a repaving job pays for itself in that it can help generate more business because of heightened curb appeal. Also, a repaving job is vastly more affordable than even one costly legal settlement stemming from broken pavement. In these instances, it’s quite clear: parking lot repaving is worth every penny.